Virtual private server (VPS) hosting provides the functionality and power of a dedicated server at a fraction of the cost. It basically fills the gap between shared hosting and dedicated server hosting services. When you sign up for VPS hosting, you share the physical server hardware with other websites. The difference between VPS and shared hosting is that you have complete root control over the server. This means that you can use your own scripts, upgrade your website, and install applications. This type of web hosting allows you to install software and have direct root access to the operating system. Each physical server is divided into multiple virtual servers running their own operating systems. 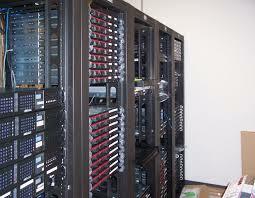 Many companies offer VPS hosting as an extension for web hosting services. Customers who purchase this service receive a certain amount of memory, disk space, bandwidth, and processing power. Virtual private server hosting is ideal for popular websites with high traffic, as well as for those that have outgrown their shared hosting plans. It's also a viable option for small business owners who want to set up an online store or a corporate site. Shared hosting is cheap, but the resources are limited. Dedicated hosting requires a certain level of technical knowledge. VPS hosting that can fit the needs of almost any website. A virtual private server is similar to a dedicated server. Users have access to a control panel, website templates, FTP accounts, email accounts, private name serves, full root access, and free site builder software. Each web host offers different features. Some plans include unlimited domains and sub domains, free website transfer, free scripts, automated backups, and unlimited MySQL databases. Customers can install advanced software and customize applications easily. VPS hosting has many advantages over shared hosting. Not only it's less expensive, but also provides greater flexibility. It's one of the most reliable and secure types of web hosting out there. As soon as you sign up for this service, you'll be able to perform your own system administration tasks and install virtually any software you want. This type of hosting requires zero maintenance, so you don’t need any technical skills to operate a virtual server. One of the main benefits of VPS hosting is that the traffic and activities of other users won’t affect your website. Each virtual server is allocated a certain amount of bandwidth and disk space. These dedicated resources make VPS hosting far more reliable than shared hosting. Another major advantage is the cost. Since there are several websites hosted on the same server, you'll get increased performance and security at a lower price than dedicated hosting. The key is to find a reliable web host that meets your requirements. With virtual private server hosting, you can run multiple websites on the same server without having to worry about performance issues. Common hardware sharing problems are eliminated. VPS hosting also provides increased security. In a shared hosting environment, if one account is hacked, all accounts on that server become vulnerable. VPS hosting is more secure because it offers a virtual environment with independent file systems. AUTHORS BIO: Harlow Hawk is a freelance writer and front end web developer. He highly recommends VPS services like the ones offered by Atum Corporation, to take the stress of your servers. The content of this blog is excellent. Anyone who want to know about VPS hosting must visit this blog. After reading it you can easily understand the whole concept VPS hosting. Thanks for the post...It detailed clearly about the need of VPS.I was confused as to which type of hosting to choose from my provider, 9cubehosting.com...and your article helped in getting the suitable hosting plan.